Women "struggle to apply eye makeup"
An expert has noted that women are having trouble with finding the right sort of eye makeup for them. Karen Kay, a fashion and beauty journalist, explained that it is a skill to use makeup and suggested that women get some professional help to assist them. "I think the majority of British women do struggle with having the finesse of applying foundation and other cosmetics perfectly," she said. Ms Kay noted that it can be daunting to have to choose an eyeshadow or other item from a vast selection in a store. Earlier this year, Avon released details of research it had carried out regarding British women"s spending on cosmetics. 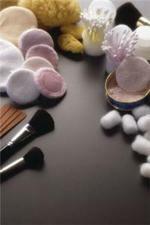 The average makeup bag was found to contain £57 worth of goods and younger women aged 25 to 34 have the highest monthly expenditure on makeup. Cardiff women had the costliest bags, with an average of almost £75 worth of cosmetics in theirs, followed by north-eastern women (£66) and Londoners (£59).